As a developer at IDR Solutions I spend a lot of my time working on the JPedal Java PDF library and lately I have been improving functionality with text to speech. 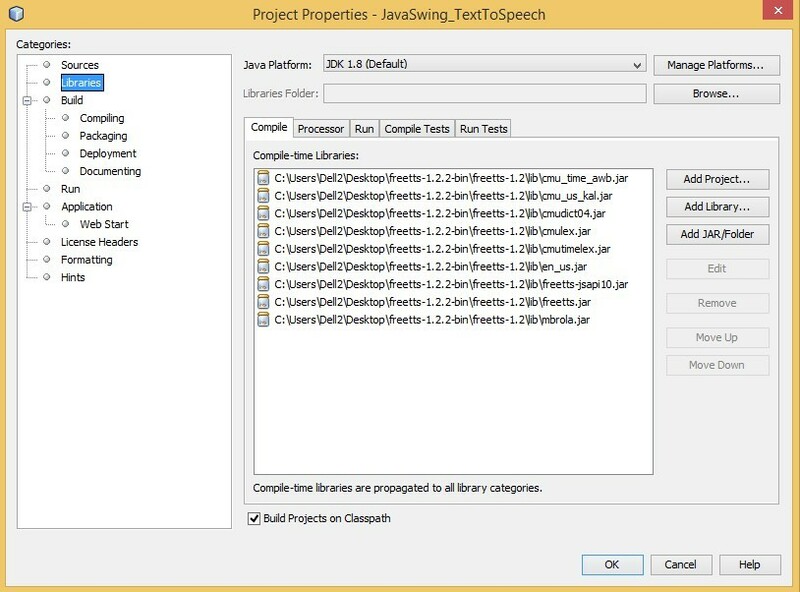 I thought it might be useful to show you how to implement text to speech in both JavaFX and Swing applications in this tutorial. For the JavaFX application we are using the java-google-translate-text-to-speech jars. Using java-google-translate-text-to-speech jars you can also build simple translator where you can translate your content into other languages. For the Swing application we are using the FreeTTS jars. Download the freets-1.2.2-bin.zip. Unzip the folder and add the jars from \freetts-1.2.2-bin\freetts-1.2\lib location to your application. To find out how to implement text to speech functionality in our JPedal Java PDF Viewer click here. Hopefully you found this guide useful. Let us know if you would like to see anymore like this in the future. Seems like it might be an exception with one of the Google jars. This article shows others who have encountered similar exceptions: https://code.google.com/archive/p/java-google-translate-text-to-speech/issues/8 and there is a solution mentioned at comment #4. Hope this helps.